This article originally appeared as part of our January 2019 print issue in the timber feature. President Donald Trump’s tariffs, enacted in November 2017, have not yet made a significant impact on the U.S. mass timber industry. But if Trump chooses to take more aggressive action in the next two years of his administration, this could dramatically change. This urgency, coupled with the recent global obsession with building tall wood structures, newly motivates American wood manufacturers to become independent of foreign suppliers. This would entail American manufacturers catching up in machine technology and production capacity to bolster domestic trade and support innovative architecture sourced from home. 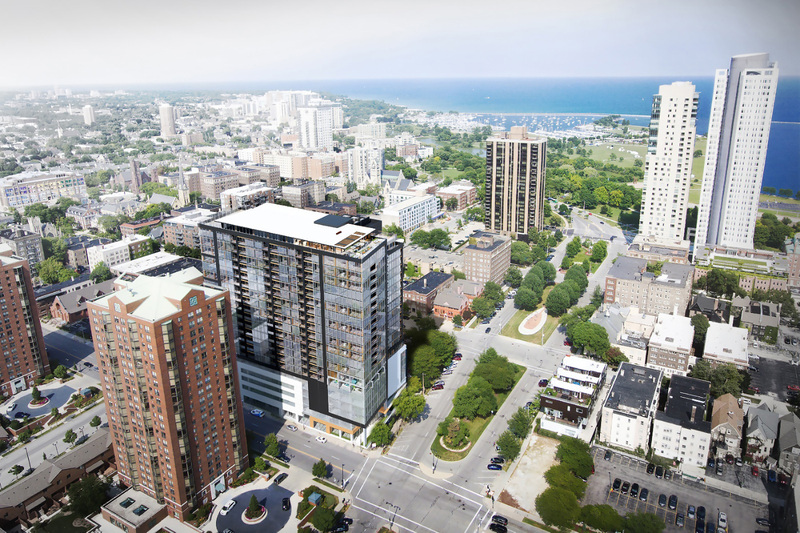 What’s clear is that U.S. demand for wood buildings is there. 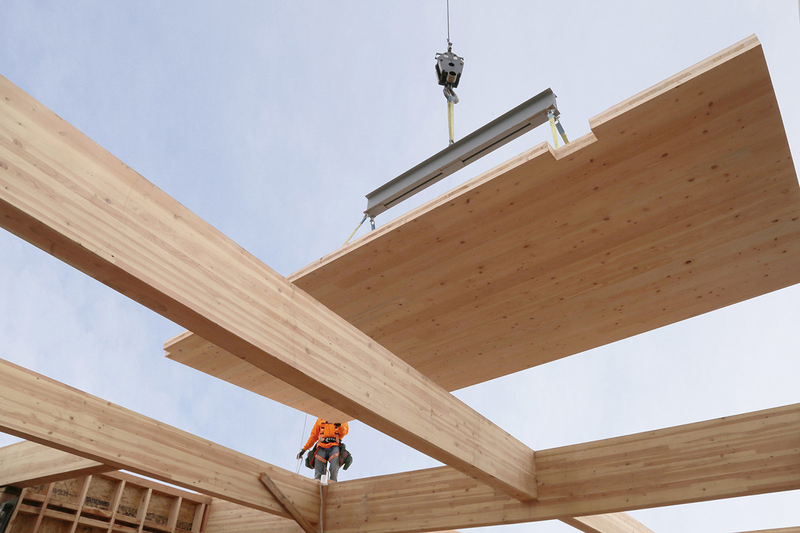 The country’s largest producer of cross-laminated timber (CLT), SmartLam, has experienced such rapid growth since opening six years ago that it is building a new headquarters in Columbia Falls, Montana, and planning a second facility in Maine to supply what the industry thinks will be an influx of midrise construction in New York and other cities along the Eastern seaboard. While similar Pacific Northwest companies like DR Johnson and Katerra, as well as firms such as LEVER Architecture and Michael Green Architecture, have long led the field, production is growing in uncharted territories. South Carolina–based LignaTerra is adding another plant in Maine, while Canadian leaders like Nordic Structures in Montreal and Structure Fusion in Québec City, which already supplied CLT to projects across the country, are now focusing more attention on supplying the eastern U.S. market. Production is even swelling in the South with Texas CLT LLC, which is reopening a mill in southwest Arkansas. But pioneering European companies, which have historically dominated the market and supplied American developers, are now putting down roots in the U.S. Austrian giant KLH is partnering with International Beams’ new factory in Dothan, Alabama, by supplying it with glulam blanks. Having opened this past September, it is the first plant east of the Rocky Mountains to produce CLT in the country and will primarily utilize the unique Southern Yellow Pine native to the region. These investments show that the race to build such production facilities is vital to the U.S. market becoming competitive with other countries. But many experts say we need to increase cultural acceptance of mass timber as well as get investors on board before the industry starts churning up a sizable profit. Organschi’s firm has been at the forefront of timber innovation for 20 years. He is confident the market is growing and will prove that by designing 6- to 14-story buildings, the sweet spot for mass timber construction. Dominique Briand, general manager of Canadian structural engineering firm Structure Fusion, is also optimistic about North America’s future, but feels certain that product-specific issues still need to be addressed before wood can match the quality of other structural materials like steel and concrete. Briand believes that as long as timber is trendy, it will take young U.S.-based companies about five to ten more years to be competitive with Europe. In the meantime, architects, engineers, and educators are working to imagine groundbreaking designs at modest scales to ramp up domestic interest and encourage policy changes. Many U.S. states are using financial incentives to entice manufacturers to locate to their respective regions. In Maine, both the state and federal governments have provided funding for the University of Maine’s extensive research to advance timber assemblies. Russell Edgar of the university’s Advanced Structures & Composites Center says the ultimate goal of this work is to organize the state’s supply chain in order to make Maine viable for these companies. Sourcing timber products within 250 miles of a project is a huge advantage to practicing sustainability and boosting regional economies—not to mention a reason for rarely crossing borders for building materials. But a little competition is healthy, especially for lumber producers who want to bid in a fair marketplace. Histories of innovation in modern building materials typically recount how muscular substances are sculpted in the hands of masters: Eiffel and his iron, Corb and his concrete, Gehry and his shiny titanium scales. 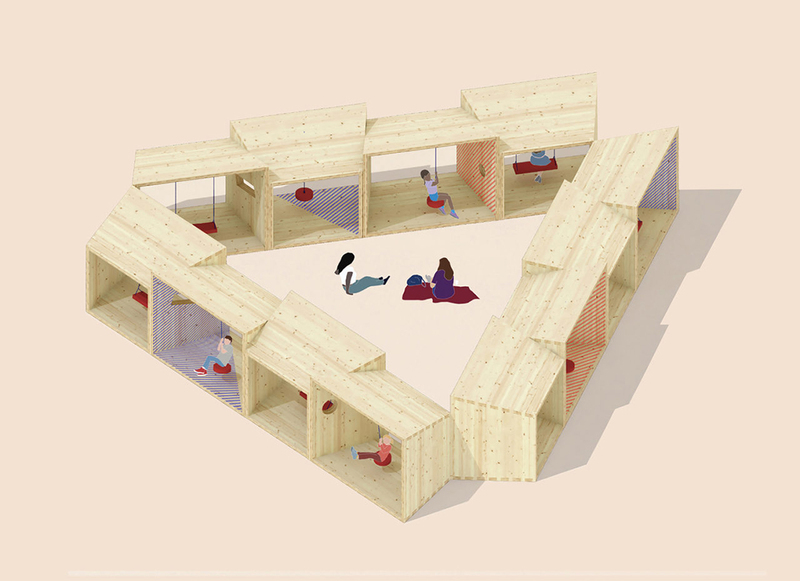 Shigeru Ban Architects (SBA), on the other hand, has sought out some of the less heroic products of our age, sometimes using trash as inspiration for the next big thing in structural solutions; the firm works with humble materials, but its final creations are no less accomplished for it. 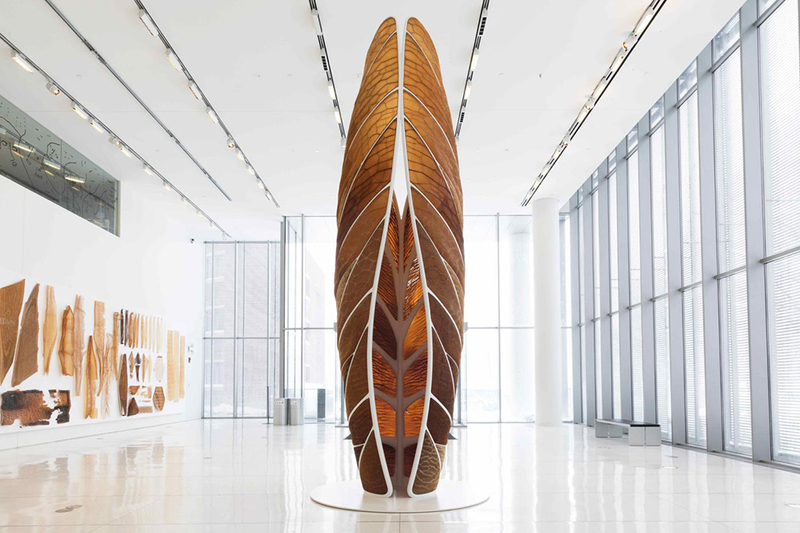 Wood is one of these seemingly humdrum materials that SBA has long played with, but in the past decade or so, it has skillfully taken advantage of the material’s flexibility. SBA is quite literally taking timber structures to new heights, and is currently at work on both the tallest hybrid timber structure and the largest mass timber development in the world. With work around the world, the firm has pushed the possibilities of what glulam, cross-laminated timber, and other wood products can do—both formally and functionally—proving to skeptical local administrators that timber is a material that can meet and even exceed their building codes. It’s not every firm that has clients with the appetite to replicate some of SBA’s more adventurous projects, but still, the firm has some basic advice for working with timber: Dean Maltz, the partner in charge of SBA’s New York office, said that “timber forces you to collaborate with trades closely,” which, he stressed, is both a challenge and an opportunity. Because mass timber products are prefabricated off-site and still something of an anomaly in much of the United States, it is crucial from the beginning of the design process to work with experienced fabricators. That early investment in collaboration can pay off later, though—Maltz claimed that even the firm’s more complex timber designs were built much faster than comparable steel or concrete structures because timber components can be prefabricated with incredible dimensional precision. The firm’s use of timber is not arbitrary—rather, it uses wood tactically, albeit sometimes extravagantly, to meet aesthetic and practical goals. While international building codes can be something of a jungle when it comes to mass timber, SBA is blazing trails through the wilderness. Aspen Art Museum The Aspen Art Museum, which is essentially a big-box building, doesn’t go wild with formal gyrations. Instead, for this low-key Rocky Mountain ski town, SBA let the structure steal the show. A basket-woven wooden screen dapples circulation spaces along the perimeter with Colorado sun, and the firm’s trademark paper tubes make an appearance as playful interior walls and seating. But the firm’s ingenuity really shines in the massive exposed timber roof truss. The space frame–like system is cleverly composed of interlocking planar timber members that curve gently at corners, a detail that allows components to be joined by a single fastener. The resulting mesh allows light to filter down to the spaces below while bolstering the roof against the winter snowfall. Kentucky Owl Park SBA’s most recent commission in the U.S. is for a 420-acre distillery and recreational campus themed after Kentucky Owl bourbon. Like much of the firm’s work, the park’s design blends bold geometry with nods to historical motifs and materials: While the trio of identically sized pyramids at the center of the complex contrasts with the surrounding big sky bluegrass landscape, these exposed timber structures are redolent of 19th-century metalwork, the kind that might have enlivened the original Kentucky Owl distillery. Further, wood columns will be girded by metal loops as in traditional barrel construction, and trusses webbed with curves and loops will add a stylized flourish. Swatch Headquarters and Omega Facilities SBA’s forthcoming trio of Swiss buildings for a pair of watch manufacturers (sister companies under the Swatch Group) are a study in contrasts. The new production facilities for Omega are rectilinear and formal, structured by a precisely gridded matrix of exposed engineered timber. 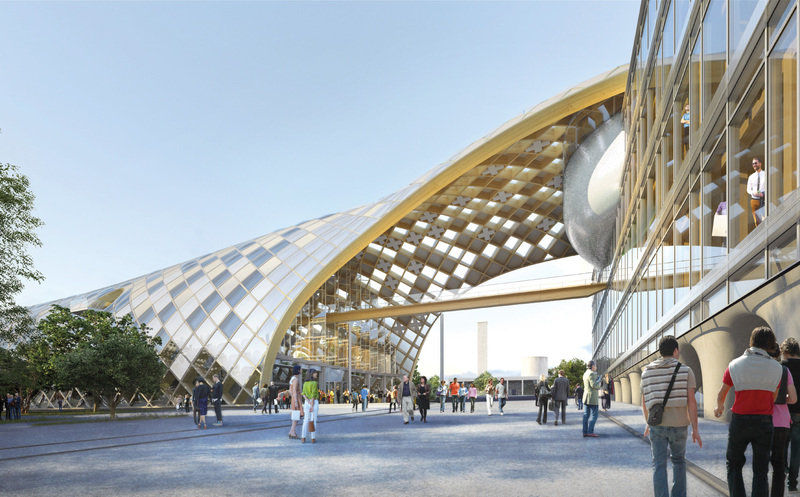 The new Swatch headquarters, however, snakes along the Suze River under an arched wood canopy that is punctuated by periodic distortions before leaping across a street to connect to the joint Swatch-Omega Museum, also designed by SBA. 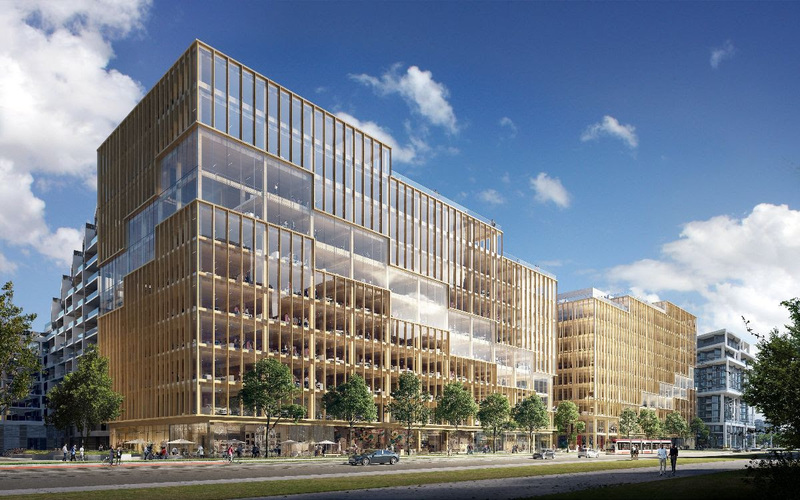 Upon its completion later this year, the complex will be the largest timber development in the world. Shonai Hotel Suiden Terrasse No single SBA project displays the versatility and formal possibilities of hybrid timber structures as much as the Shonai Hotel Suiden Terrasse, completed in September 2018 in northern Japan. The hotel’s spa sits under a low dome supported by timber beams spectacularly interwoven in the same pattern used in La Seine Musicale, while the hotel itself showcases a sober mix of timber, concrete, and brick components. 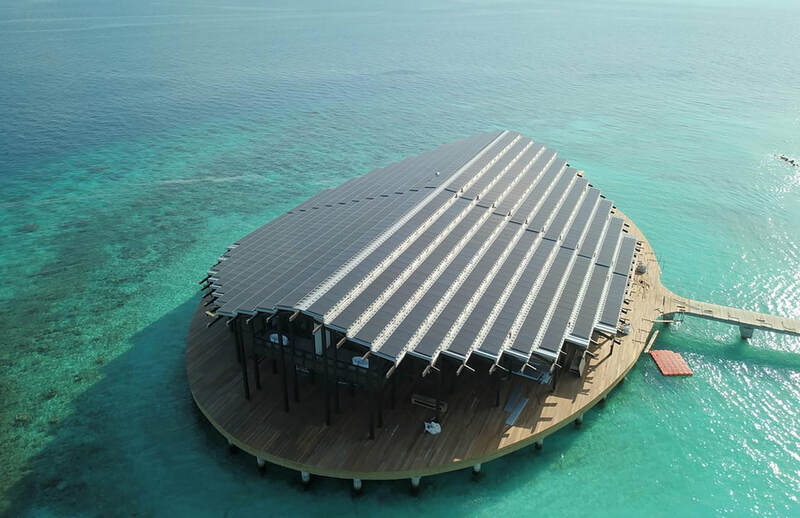 But in a shared central building, a long, open space is covered with a thin pleated wood roof that floats as though it were nothing more than a piece of folded paper. 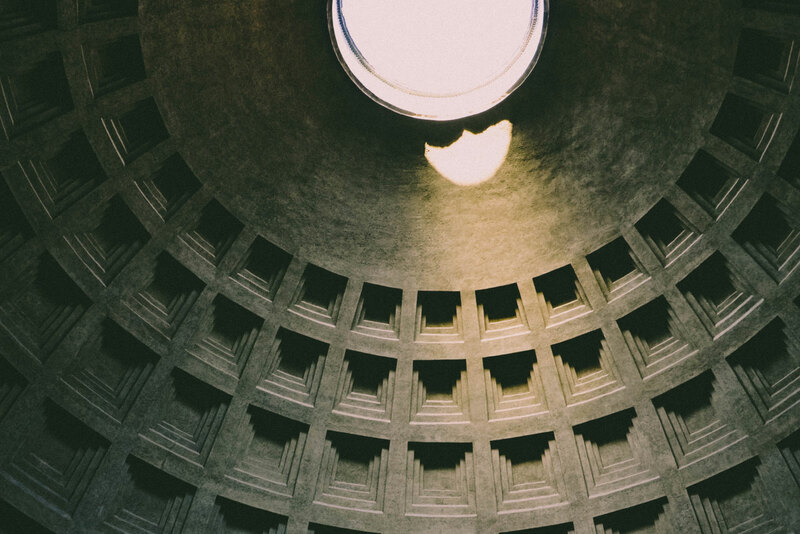 Concrete is perhaps the most prolific and malleable construction material in the world, but our continued dependence on it may be contributing to climate change more than was previously known. The English international affairs think tank Chatham House recently released a report that attributed approximately eight percent of the planet’s annual carbon dioxide emissions to concrete production. 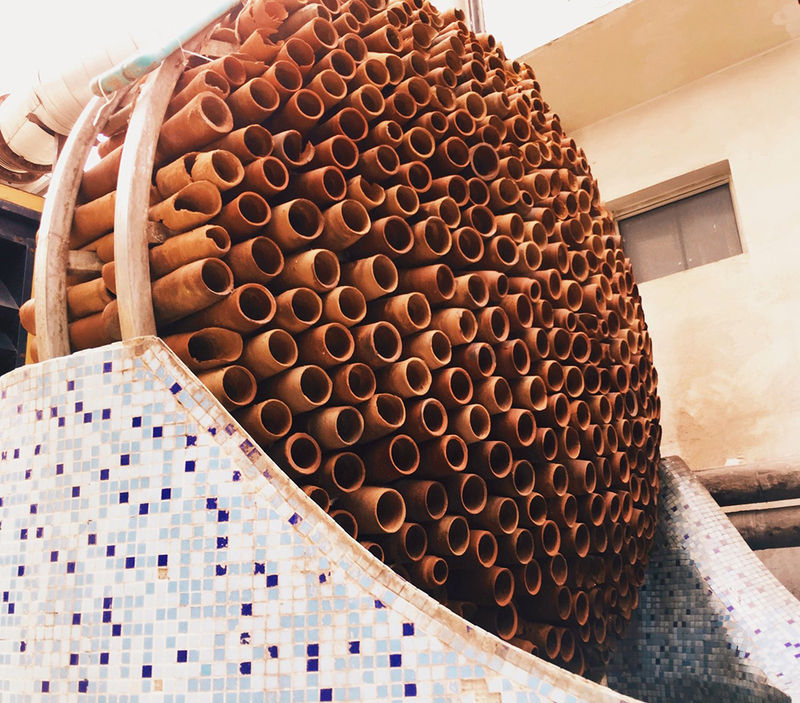 The chemical processes used to create cement, burning limestone and clay in a high-temperature kiln and grinding the result, contributes the greatest share of emissions (though the collection of sand, a commonly used aggregate, has its own problems). With the 24th Conference of the Parties to the United Nations Framework Convention on Climate Change (COP24) complete, a “rulebook” for enacting the 2015 Paris Agreement on climate change was agreed on by the 23,000 international delegates present. Even with a guide in place for reducing carbon dioxide emissions, the problem with concrete is that demand is only expected to rise. 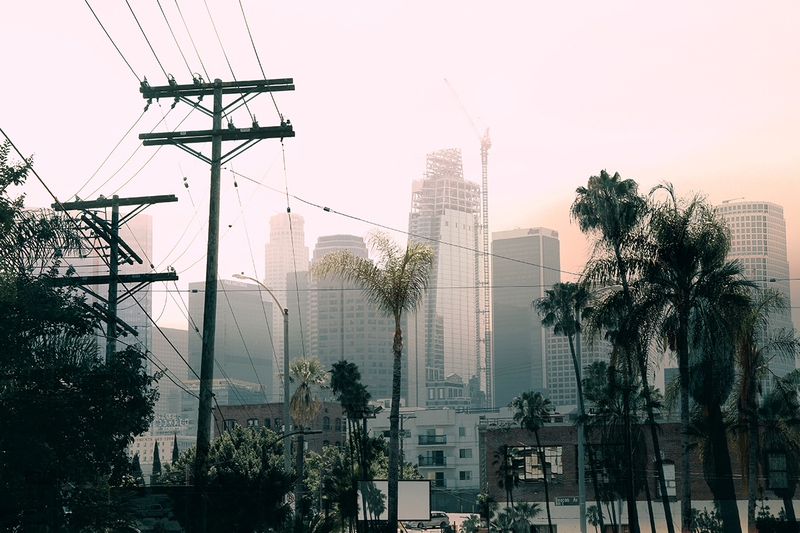 Currently, the world produces 4.4 billion tons of concrete annually, but that number is expected to rise to over 5.5 billion tons by 2050 as poorer countries rapidly urbanize, according to the Chatham House report. For the concrete industry to fall in line with the Paris Agreement’s targets, emissions will need to fall 16 percent from current levels by 2030. The report argues that target is already an ambitious goal. The production of Portland cement, the kind most widely used today, has remained largely the same since the 1800s. Limestone and clay combine in the kiln to form carbon dioxide and “clinker,” a substrate then mixed with limestone and gypsum to create cement. According to Chatham House, research into “alternative clinker” and low-carbon production methods has thus far been slow going. Less energy-intensive kilns, new types of clinker, carbon capture technology, and switching to renewable energy during the production process will all be necessary “to achieve CO2 reductions consistent with at least a 50 percent chance of limiting the average global temperature increase to 2°C above pre-industrial levels by 2100," according to the BBC. Timber, which sequesters the carbon dioxide absorbed by trees over their life, has slowly but surely made strides in replacing concrete in some projects. 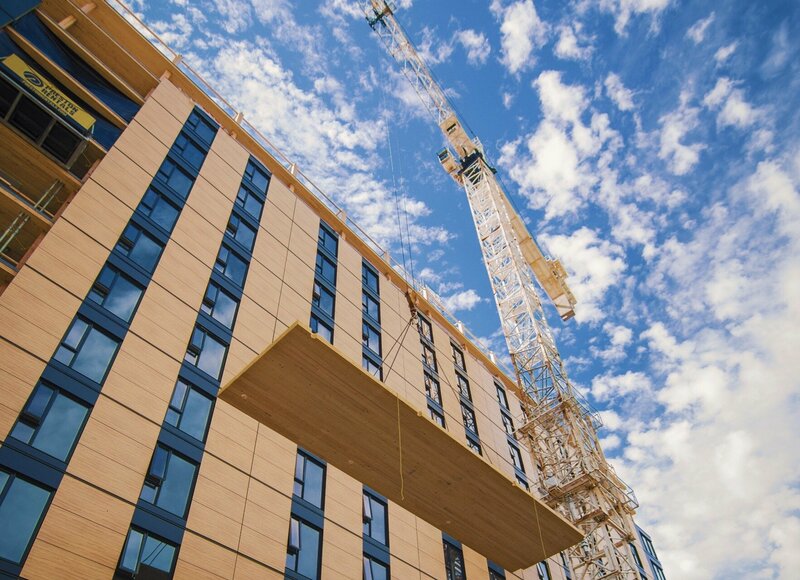 High-rise timber buildings have gotten a green light in Oregon, and continued research into carbon-neutral (or negative) projects is continuing apace. Meeting LEED standards isn’t easy. If you’re trying to design a healthy building environment, a great place to start is Greenbuild, the annual conference and expo dedicated to sustainability in the built environment. From November 20 to 22, professionals in architecture, design, construction, engineering, and planning flocked to Chicago's McCormick Place to learn more about environmentally friendly building materials and practices. You’ll find our favorite products that we saw below. Each answering to a different set of needs, they help to enhance building efficiency, human health and wellbeing, and promote sustainable design. Landmark Premium Double Hung Window Silber Double hung?! Silber’s Landmark Premium Double Hung window opens in two directions: outward and downward. It is passive house–rated with thermal insulation and a multi-point locked, triple gasketed sash, making it airtight. Formawall with Halogen-Free Insulating Foam Core CENTRIA Dress up the facade and meet sustainability goals with Formawall. It can be used to make both vertical and horizontal designs. Better yet, the insulated panel system makes for a healthy building environment with a halogen-free foam core that provides thermal efficiency and moisture control. Mermet USA GreenScreen Nature Draper High-tech shade expert Draper paired up with sun control textile purveyor Mermet to offer a 100 percent fiberglass shade that’s 100 percent recyclable. GreenScreen Nature blocks up to 51 percent of sun, undesired heat, and harmful UV rays, helping to meet those green LEED building codes. It is offered in seven mineral-toned colors. Metropolitan AF-690 Benjamin Moore Benjamin Moore’s color of the year is a cool, very agreeable shade of gray dubbed Metropolitan AF-690. Featuring cool undertones in a “neutral spectrum,” the shade and its harmonious 15 corresponding hues create “impactful common ground.” Living up to its namesake, it makes any room look “Metropolitan AF.” Pentagonals Tarkett Pentagonals is a collection of colorful modular tiles made of rubber, making it perfect for high-traffic areas. Pick and choose three different shapes to create virtually endless design combinations. 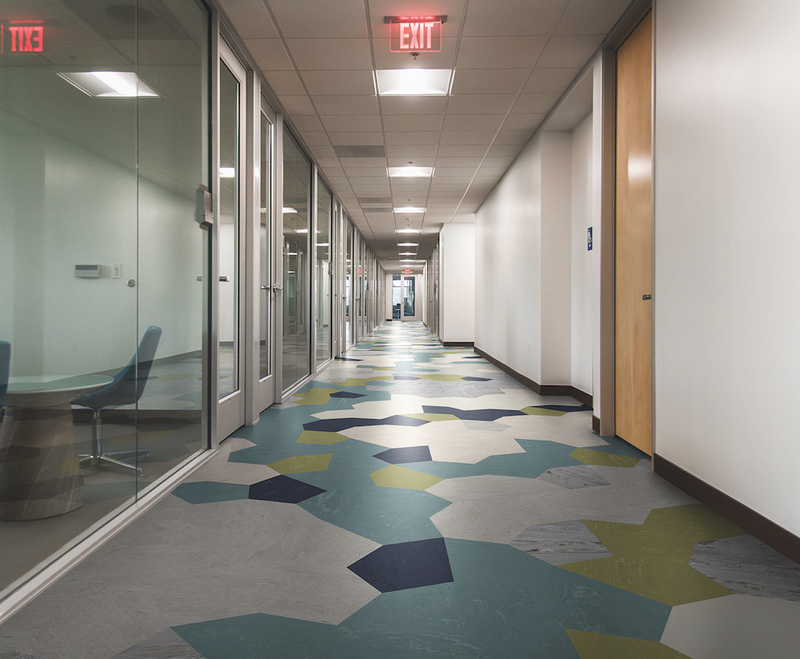 And, with the help of Tarkett’s online visualizer tool, you can get motivated by the online inspiration gallery and create custom layouts with the design platform. Aromatic Cedar Columbia Forest Products Bye-bye pests and mildew! Cedar protects kitchens, pantries, basements, and indoor spaces alike from stink with its inherent natural properties (especially its scent). Columbia Forest Products' ¼-inch-by-4-feet-by-8-feet aromatic cedar plywood panels are offered in both mirrored and symmetrical styles.